On a sloping roof panels will automatically be cleaned by the rain; in addition the glass on the panels is self-cleaning glass. However, dirt will tend to accumulate in the bottom corners of the panels and it is essential that the panels be cleaned every six months. This will ensure efficiency is maintained and output is not reduced. Dirt on the glass covering the solar cells will absorb sunlight and as a result less light will penetrate through to the solar cells. We use ultra-pure (de-ionised) water which cleans effectively and leaves no residue behind. Ultra-pure water has no dissolved solids, and therefore readily dissolves dirt and grease from the surfaces of solar panels. It also dries completely spot-free, leaving no marks behind. Ultra-pure water is a proven technology, and has been used for window cleaning for more than a decade to leave a spot-free, smear-free finish. Using water-fed poles, it's possible to clean to a distance of 80ft without the need for work-at-height or any special access equipment. A soft-bristled brush is used to lightly lift the dirt from the panel, at the same time jets of ultra-pure water rinse the surface clean. Google has a 1.6MW solar installation in California. It has carried out some research on the impact of dirt on panel performance, and on the impact of professional cleaning versus cleaning by rain. It has concluded that panel output is increased by 12% if they are professionally cleaned. 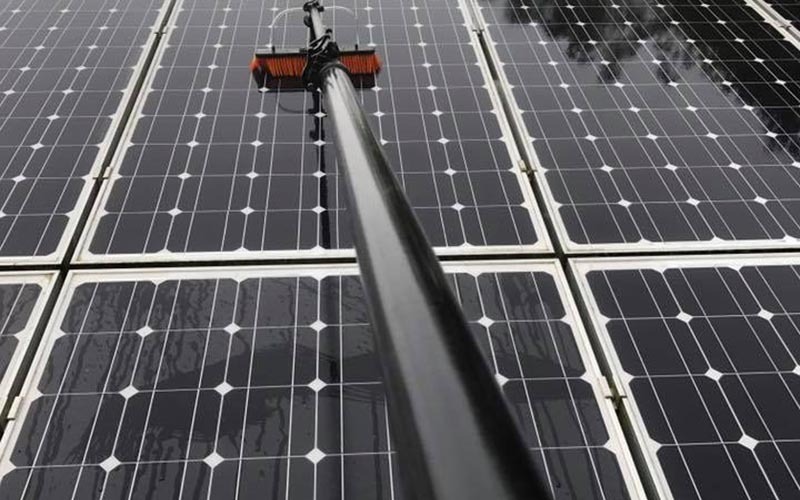 By using the latest in window cleaning reach and wash technology, 1st Glass Window Cleaning are able to reach your solar panels from the ground level with ease. There is no need for the use of heavy ladders, which means no damage to your property walls. We also use purified water and specialist solar panel brushes to expertly clean your solar panels and maximise their efficiency. 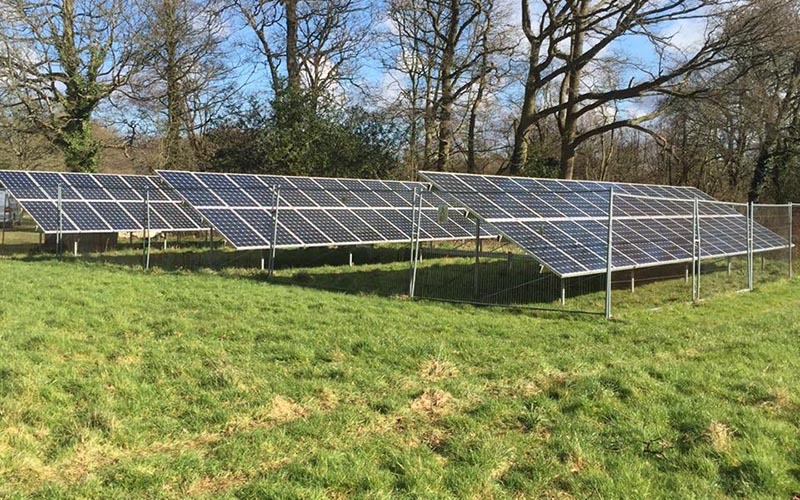 The methods we use when cleaning solar panels has proven to be an excellent and effective way of making sure your solar panels are not only cleaned safely but also effectively without having to hire scaffolding or MEWPs. 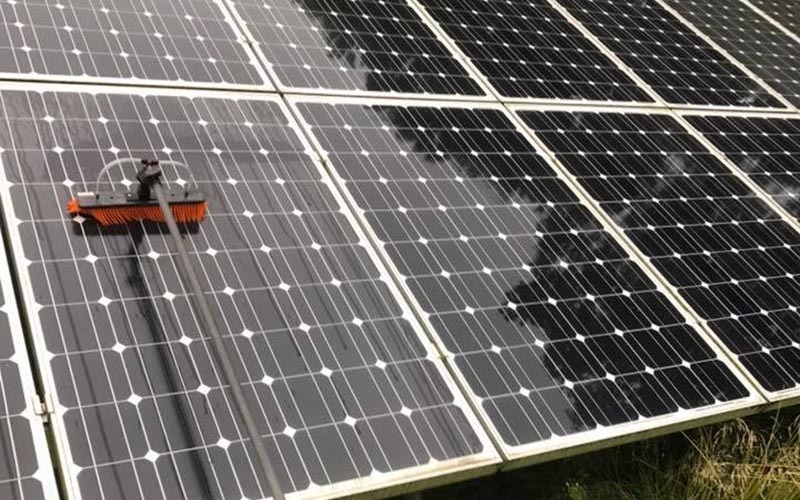 Having your solar panels cleaned on a regular basis is important in maintaining their efficiency because solar panels can lose up to 25% of their efficiency if they have not been cleaned in the space of a year. Having your solar panels cleaned helps our customers save money over the course of the year, effectively paying for the cleaning and some.